Character. Coste: 7. FUE: 5. 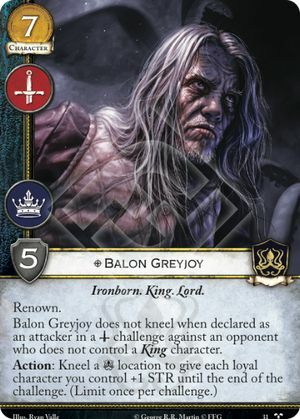 Balon Greyjoy does not kneel when declared as an attacker in a challenge against an opponent who does not control a King character.